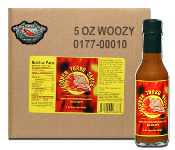 Use Conch Turbo Sauce to add "zing" to your dinner! Is Hot Sauce Good For You? Hot Chili Peppers - Friend of Foe?